The Kigali Institute of Science, Technology and Management (KIST) is the first Rwandan Government technological institute of higher education, established in November 1997. There were hardly any qualified and experienced experts in the technical, scientific, administrative and managerial domains of the calibre the country presently needs. The few technical experts had either been killed or simply disappeared during the war and genocide of 1994. To date, they have not yet been replaced. 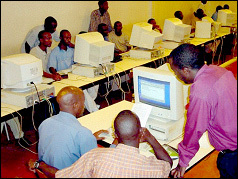 There was therefore a great need for human resource development and skills promotion to replenish the labour market, to facilitate skills enhancement for the industrial and service sectors, and to meet the demand for technological, scientific, and administrative skills to enable socio - economic transformations. The Institute started as a project through the combined efforts of Rwanda's Ministry of Education, UNDP Rwanda as the executor of the project, and the German Agency for Technical Co-operation (GTZ) as the implementing agency. Contribution for the Institute came from a UNDP Core Funding and through the UNDP Trust Fund from the Governments of Japan and the Netherlands, both of which enabled KIST to initiate operations very quickly, taking only two months for the first class of 209 students to begin their studies. 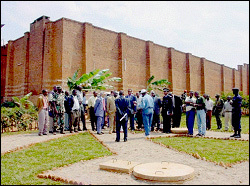 The Statute of Kigali Institute of Science, Technology and Management (KIST) was then enacted by the Law No. 48/2001 of 26/12/2001. KIST has two campuses: the main campus in the city centre, and the Remera campus on the outskirts of the city. The Remera campus also houses science laboratories and caters for pre - engineering students and will soon house the Centre for Innovations and Technology Transfer (CITT) which is dedicated to appropriate technology development and dissemination to the communities. 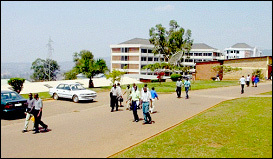 KIST main campus is located in Upper Kiyovu on Avenue de L' Armée in the heart of Kigali, Rwanda's capital city. The Institute is also within easy reach of Kigali' shopping centres, government ministries, hotels, airline offices, the central and private hospitals and clinics. KIST is also a twenty-minutes drive from Kanombe International Airport. 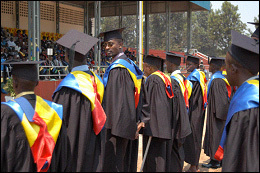 Committed to advancing Rwanda's development by graduating highly skilled peoplefor the country's economy and by providing technical and technological assistance and service to all sections of the community, KIST aspires to become a centre of excellence in Science, Technology and Management education comparable in standard to the very best in the world. - To disseminate the results of research through teaching, seminars, conferences, public lectures, publications and other appropriate means. - To provide consultancy services to government, industry, the private sector and the community. - To promote academic and non-academic information and communication technology-related programmes and to extend the same to rural-based institutions, organisations, even individuals. - To engage in income-generating activities with a view to creating awareness in lucrative investment. - To collaborate with other academic, professional, technical and research institutions in and outside Rwanda for educational and technological development. - To contribute to the cultural, civic and moral training of its members and to participate actively in the economic and socio-cultural development of the society. · Two new and modern buildings shown in the photo have increased student access to laboratories, lecture space and availed more office space for staff. Plans are underway to construct more buildings. 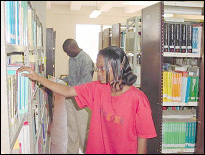 · A two floor library located in KIST II building. · An English Reading Room furnished by the British Embassy in Kigali. · The Clinic offers medical care to the students, staff and staff's families. · Out door Sports Grounds that include a football field, basketball and volleyball pitch. There are also indoor games like chess and pool. 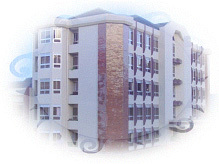 · Three halls of residence with in house catering services. KIST is committed to graduating students who have an appropriate balance between theory and practice, who apply techniques to problem solving and who will be able to think for themselves and clearly understand their role in society. For assurance of quality, the programmes currently in use have been prepared in close collaboration with experts from well established institutions of higher learning. These include Jomo Kenyatta University of Agriculture and Technology (for Technology courses), Delft University of Technology (for Computer Engineering and Information Technology courses) and University of Dar-es-Salaam and Makerere University Business School, Nakawa (for Management courses). KIST has also established linkages with relevant Institutions of higher learning which include among others Technikon Pretoria, Cape Technikon, Uganda Polytechnic Kyambogo, Uganda Industrial Research and Development Institute, University of Missouri - Columbia, California State University - San Bernardino, Georgia Tech, and Glasgow Caledonian University. External Examiners from higher education institutions in Kenya, Tanzania, Uganda and the Netherlands continue to be of assistance in moderating the courses and the examinations. A Directorate of Quality Assurance has been established to co - ordinate and monitor the quality and standard of the curriculum delivery, development and examinations. Each academic year consists of two 18-week semesters, 15 of which are contact weeks, and the rest are for revision and writing of examinations. A Foundation Semester is common and compulsory for all regular students admitted to KIST. The duration of the semester is 15 weeks. Students are required to pass each course through continuous evaluation and end of semester evaluation. - Foundation Semester Courses in the Faculty of Technology are: English/French, Physics, Chemistry, Mathematics, Basics of Technical Drawing, Computer Applications and Library Work. - Foundation Semester Courses in the Faculty of Management are: English/French, Business Mathematics, Computer Applications, Economics and Library Work. The Institute has four Faculties with their respective departments and a Centre for Continuing Education. The Faculty has Six Academic and two Service Departments. The workshops include appropriate technologies, carpentry, electromechanical, welding, and masonry. All first year Engineering students undergo 2 weeks of training in each workshop. All second year Civil Engineering students undergo 4 weeks of training in each workshop. The Department of Entrepreneurship Development includes the Cottage Industries Unit that provides life skills to KIST students and the public. This enables the students to become job creators and not job seekers. · Bachelor of Business Administration in various options of Accounting, Finance, Human Resources, Management and Marketing respectively taken on a full- time basis. · Bachelor of Commerce in various options of Accounting, Finance, Human Resource Management and Marketing respectively taken on a part -time basis. It offers first year remedial courses in Chemistry, Physics, and Mathematics. The programmes do not lead to any specific award, except as course grades for graduation in Technology or Management. It has three Departments: English, French, and African Languages. In response to the Government Bilingual Policy, English and French are languages of instruction at KIST. · Part -Time Studies: The part-time courses offered are: Computer Applications, Languages, Management and Technology courses. · In Service Training: This Centre offers tailor-made courses and seminars upon demand. It has so far conducted training for government departments, parastatals, UN agencies, and private sector companies. 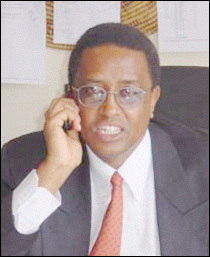 · Distance Education (including AVU): The African Virtual University (AVU) is a distance education project, which was set up by the World Bank at KIST in March 1999. The AVU will offer University degree programmes in computer science, technology and management, non-credit training and seminars, remedial instruction, and electronic library services. 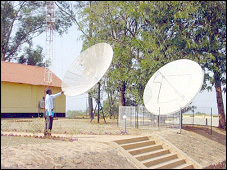 With effect from 2002, it is planned to offer degree courses in Electronics Engineering, Computer Science and Computer Engineering. These part-time programmes are offered to the Kigali community at competitive rates and have become very popular. KIST has established a Centre for Innovations and Technology Transfer (CITT) to spearhead technology development, promotion and dissemination. The Centre also conducts tailor made short training programmes to impart skills that are needed for reproduction, installation, maintenance and/or serving of the products. · utilization of bio-effluents as an alternative fertilizer in agriculture and aqua-culture. · development of technologies for drying agricultural products. 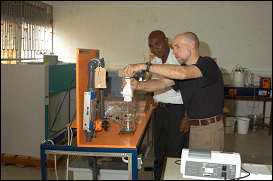 · to develop simple drinking water treatment systems. · to adopt and develop hydraulic ram technology. · to put up (in conjunction with relevant KIST departments) short training courses in plumbing technology. · to establish a linkage with Electrogaz in developing short relevant training programmes for their plumbers, water technicians and engineers. · to link up with the Ministry of Energy, water and natural resources in establishment of appropriate mechanisms for water supply in rural based areas. · developing biomass and biogas energy systems. · adapt households as well as community energy efficient cook stoves and baking ovens using charcoal, wood and/or briquettes made out agro wastes as an alternative sources of energy. 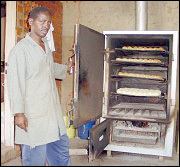 · adapt biogas energy systems for domestic cooking and lighting. · adopting alternative (efficient) methods of charcoal production. · adopting and developing wind energy for utilization in water pumping or energy purposes. 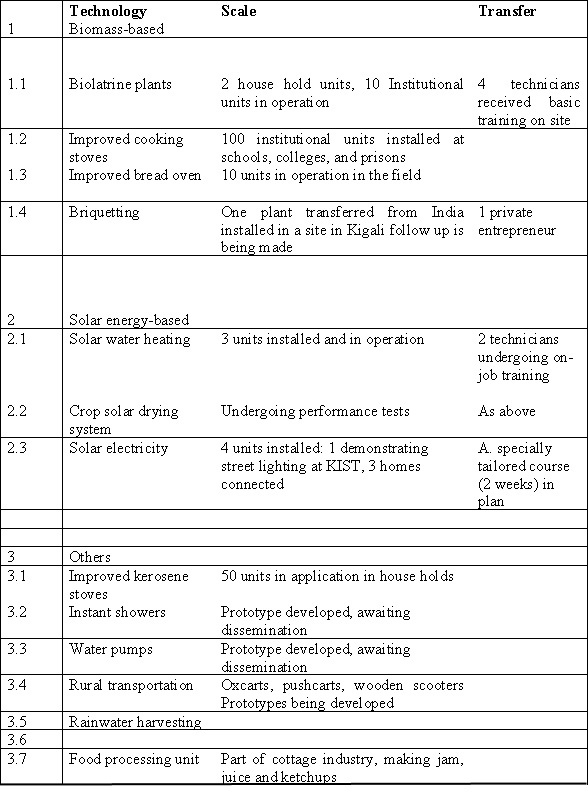 · adopting and developing mini-hydro systems for rural electrification as well as other energy requirements. · in conjunction with relevant institutions and agencies, to promote the afforestation schemes in community based centers (schools, prisons, military camps, etc) to avail wood lot stocks for energy purposes. · development of special wastes treatment systems, eg. incineration for hospital and other toxic wastes. · providing advise on the design and planning of simple drainage systems. · development of efficient wooden scooters and wheel barrows. · development of designs on simple and appropriate rural based roads and drainage systems. · development and adaptability of bricks, blocks, and roofing tiles casting machines. · to adapt and develop simple workshop tools which can be used in setting up small scale metal fabrication workshop in rural areas. · to establish a foundry and offer service to the industries through making of spare parts. © World INvestment NEws, Multimedia Information Company, 2003. - Optimised for 800 x 600 - Developed by AGENCIAE.TV.